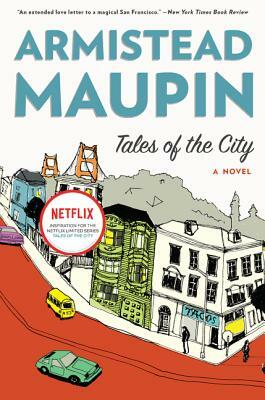 The first novel in the beloved Tales of the City series, Armistead Maupin’s best-selling San Francisco saga. For almost four decades Armistead Maupin’s Tales of the City has blazed its own trail through popular culture—from a groundbreaking newspaper serial to a classic novel, to a television event that entranced millions around the world. The first of nine novels about the denizens of the mythic apartment house at 28 Barbary Lane, Tales is both a sparkling comedy of manners and an indelible portrait of an era that changed forever the way we live. Armistead Maupin is the author of the nine-volume Tales of the City series, which includes Tales of the City, More Tales of the City, Further Tales of the City, Babycakes, Significant Others, Sure of You, Michael Tolliver Lives, Mary Ann in Autumn, and now The Days of Anna Madrigal. Maupin's other novels include Maybe the Moon and The Night Listener. Maupin was the 2012 recipient of the Lambda Literary Foundation's Pioneer Award. He lives in San Francisco with his husband, the photographer Christopher Turner.